Authorities in China’s northwestern region of Xinjiang have detained a young Uyghur man in a bid to force the return from Turkey of his older brother, whom police suspect as a separatist, the man’s grandmother says. Rishat Haji, 24, is being held in the city of Atush in Xinjiang’s Kizilsu Kirghiz Autonomous Prefecture, near Kashgar, Reyhannisa Haji told RFA’s Uyghur Service. It is Rishat’s second time in custody since his brother, Abduweli Haji, fled with his family to Turkey in November 2015, his grandmother said. “He was detained for the first time about 15 days after his older brother’s travel to Turkey,” the woman said. “So, after six months in detention at the Ulugchat Detention Center, they let him go after he promised to convince his brother to come back,” she said. Four months later, Rishat was again detained, this time accused of having previously sent a large sum of money to his brother, a clothing salesman, in Turkey during a business trip three years before. 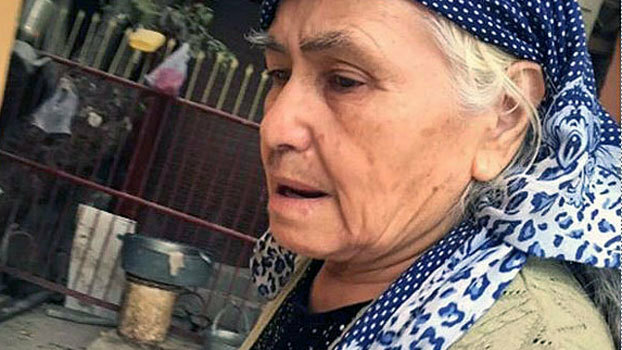 Police say the money—10,000 yuan (U.S.$1,452)—was sent to support an exile Uyghur organization set up to separate the mostly Muslim Xinjiang region from Beijing’s control, the grandmother said. “Or maybe the police are looking for some praise from higher authorities for discovering more ‘guilty’ people,” she added. Rishat’s father Haji Ablimit and sister Melike Haji were also briefly held and questioned, with his sister released after 15 days because of her pregnancy, and his father held for 45 days during which he was tortured and threatened by police, the grandmother said. Speaking to RFA, Haji Ablimit declined to speak in detail about the case, saying he is still subject to arrest because he is younger than Rishat’s grandmother, now 79. “My age will not permit me to say anything about this case, or to say anything at all about Turkey,” he said. Attempts by friends to locate Abduweli, who took his wife and five children with him to Turkey, have meanwhile failed, sources told RFA. “I haven’t seen him, though I heard about him when he was looking for a school for his children,” Hamuthan Gokturk, a prominent Uyghur activist based in Turkey, said. Also speaking to RFA, a friend of Abduweli said that the Uyghur businessman had no interest in politics or religion, and that he had planned to return to Xinjiang after his younger brother was first detained. “But he came back from the airport after being warned by a friend in [Xinjiang’s capital] Urumchi that his name had appeared on a warrant for arrest,” the friend said, speaking on condition of anonymity. “I have heard some say that he may now have died of a heart attack,” he said. Reyhannisa Haji, the two brothers’ grandmother, said she fears for the safety of Abduweli’s children. “My heart breaks when I imagine the condition of my great-grandchildren in Turkey,” she said.